Steven C born Steven Osaghae is an Afro pop singer, music producer, song writer & sound Engineer. The promising act is signed to Cytoch global a prominent record company based in South Africa. He has released 3 singles since 2017 namely Amaka, Slow down & Kpogri which was released this year. 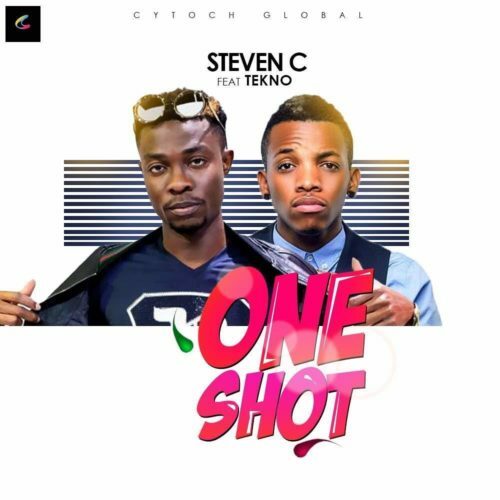 Steven C is now out with a brand new song featuring Tekno titled ‘One shot’. He has this to say about the song “What bring about the song was the comment i received after i released Amaka in 2017, those that do not know me said things that is not true about me & my musical career, so while down with thinking a friend said i should put it into music and be happy thats what brings about One shot. When i played the song for Tekno he love it and thats it become a banger. can’t stop listing to it.